A punch that shines! 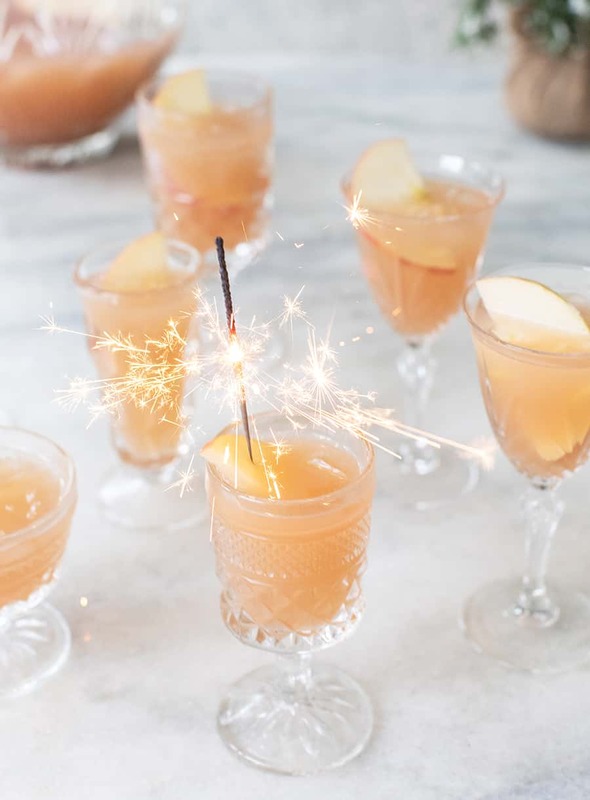 Nothing sparkles more than this Spiced Apple Sparkler Holiday Punch! 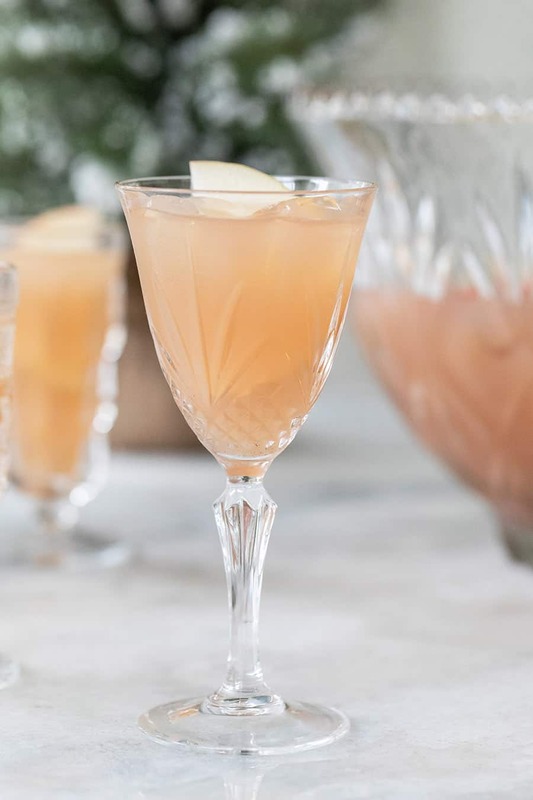 It’s spiked with apple vodka, sparkling white Champagne and two varieties of apple cider! Truly one of the best holiday punches! 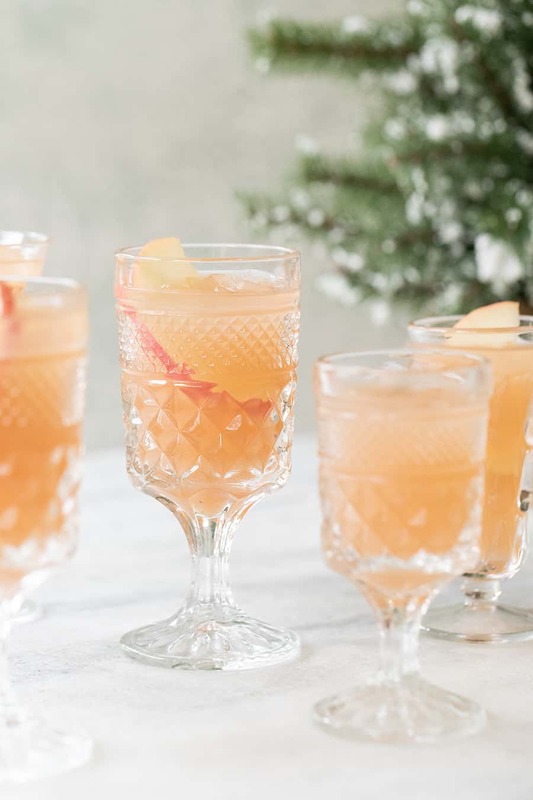 This time of year, we’re all looking for festive holiday punches to make for our parties! 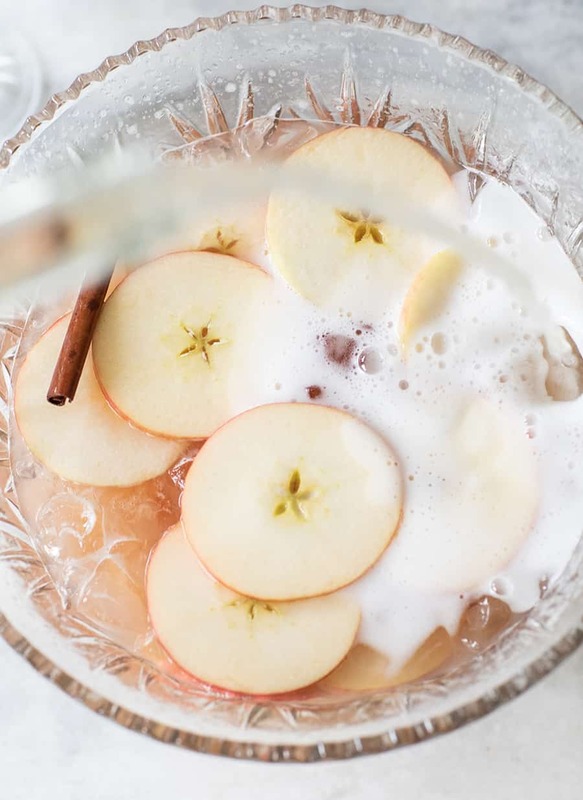 This is one of my favorites and we named it Spiced Apple Sparkler Punch because it’s full of spices, apples and two sparkling beverages. You also get an explosion of apple flavor with the first sip. It’s so refreshing and delicious! 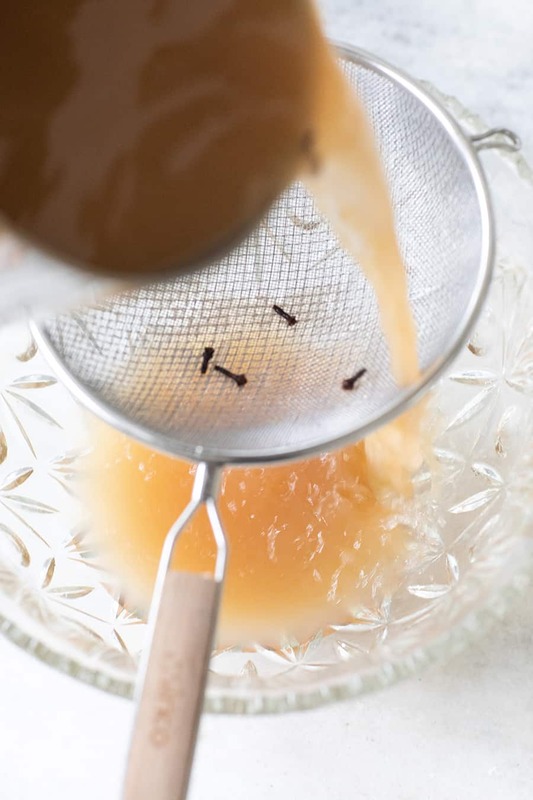 We wanted to infuse the pressed apple cider with spices, so we brought it to a boil with cinnamon sticks, cloves and nutmeg on the stovetop and then let it simmer for 10 minutes. Once it’s done and cooled (you can add a few ice cubes in it to cool it faster) we strained using a sieve into the punch bowl, removing the spices. Making the holiday punch is easy! Once the spiced apple juice is in the bowl, add in all of the other ingredients. Keeping them chilled before will help keep the punch cold. A quick tip – you can wait until right before serving the punch, to add the sparkling wine, to give the punch some actual bubbles! For this recipe we used a sparkling Moscato. How do you make a holiday punch? Making a holiday punch for parties is a must for me, as it’s easy and everyone enjoys them. There are a few tips, one is keeping everything chilled, keeping the ingredients simple, making an ice ring the night before (see our tutorial here) and adding festive garnishes with spices, berries, apples and more! A punch also usually has a sparkling aspect to it, we used sparkling wine and sparkling cider for this punch. You can also make a holiday punch with ice cream too, like our candy cane punch. You can even make a butterscotch eggnog punch! I like making up to three different punches for a holiday party. This way there is a variety using different spirits and juices. If you host a lot of parties, it’s a good idea to invest in a few punch bowls. I have several punch bowls I use, but one of my favorites is a cheap one I found at an antique store. I also mix and match glasses too! Presentation is key for me! I like everything to look nice and add a little wow factor. These sparklers were a fun addition. 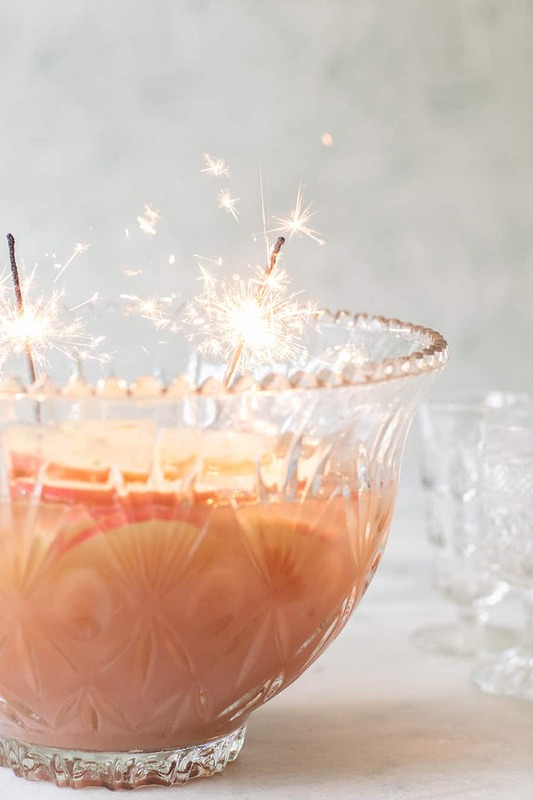 If you’re hosting a New Years party you can bring out a special batch of punch with sparklers lit and count down! It’s also great for birthday parties too. 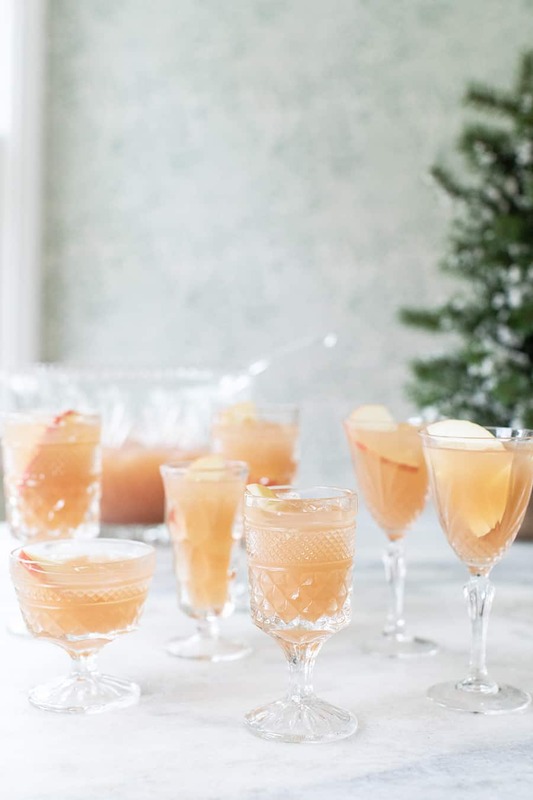 If you try our Spiced Apple Sparkling Punch recipe please let us know what you think in the reviews and comments! Or share with us on Instagram and Facebook! We love hearing from you all! Cheers and Happy Holidays!! A punch that sparkles in flavor and texture! Made with spiced apple cider, sparkling apple cider, apple vodka and sparkling white wine. 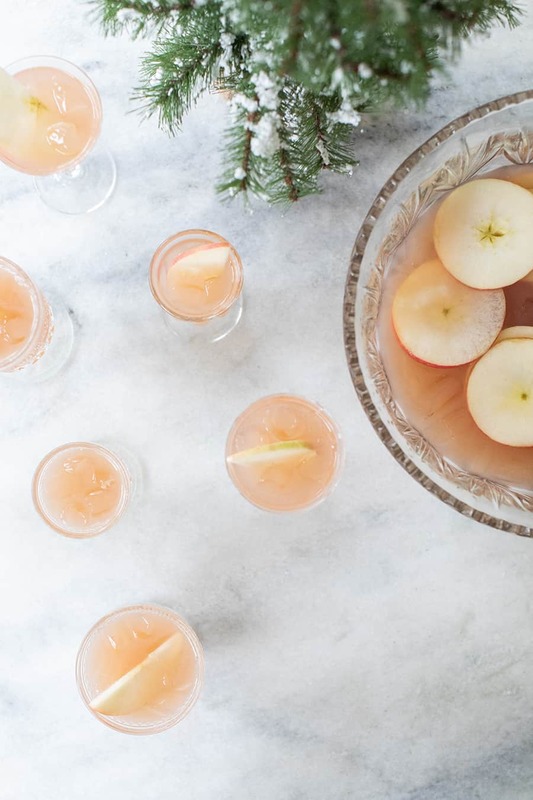 This punch is perfect for celebrating the holidays! In a medium sauce pan, add in the apple juice and spices. Bring to a boil, then simmer for 10 minutes to let the spices infuse. Remove from heat and let the juice cool. You can add in handful of ice if you're using immediately or you can put it in the fridge to cool and use the next day. Strain the juice through a sieve, into the punch bowl to remove the spices. You can add the cinnamon sticks back in since they're pretty! Add in the vodka, sparkling wine, sparkling apple cider and lemon juice.